Frost Manor life enrichment co-ordinator (LEC) Lyndsay Burton organized her first Christmas Craft and Bake Sale at the Lindsay, Ont. long-term care home, and with “many weeks of preparation” and help from residents, families and staff members, the Dec. 1 event raised $3,000 and the money is still coming in. As with every year, money raised from the event will help fund resident outings and special purchases throughout the next 12 months. “The craft sale has always been our biggest event held at our home and traditionally the largest source of income the residents’ council will earn throughout the year,” Lyndsay tells The OMNIway. This year’s event featured 15 vendors selling a variety of crafts, jewelry, Tupperware and Scentsy items. The team also sold hot apple cider for guests and offered homemade chili or soup lunch. There was also an array of baked goods ranging from the very popular meat pies to cookies, squares and 10-inch fruit pies. Lyndsay says residents and others did a top-notch job of ensuring the day was successful. 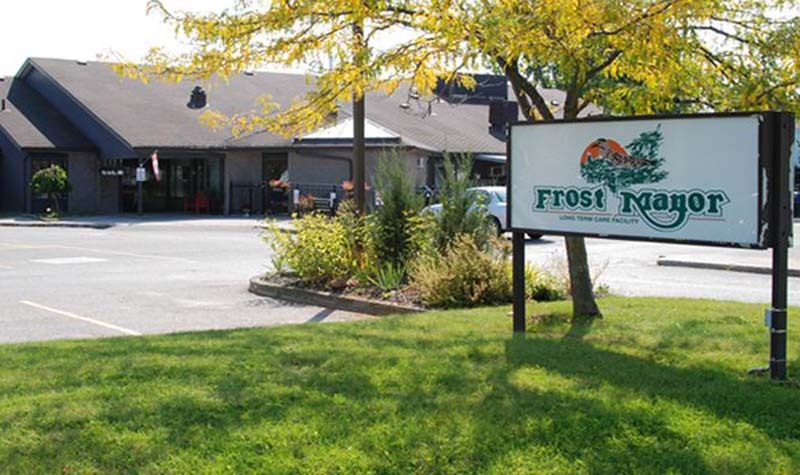 “We are so pleased with the outpouring of support for our residents here at Frost; we had so many families and friends of Frost offer their time, gift baskets for raffle, items for auction and donations of crafted items as well,” she says.